It can be difficult to locate a notary public when you need one, especially if you are looking one outside of normal weekday business hours. Wouldn’t it be great to find a service where you can locate a notary any time you need one? With AMERICAN NOTARY USA, now you can. 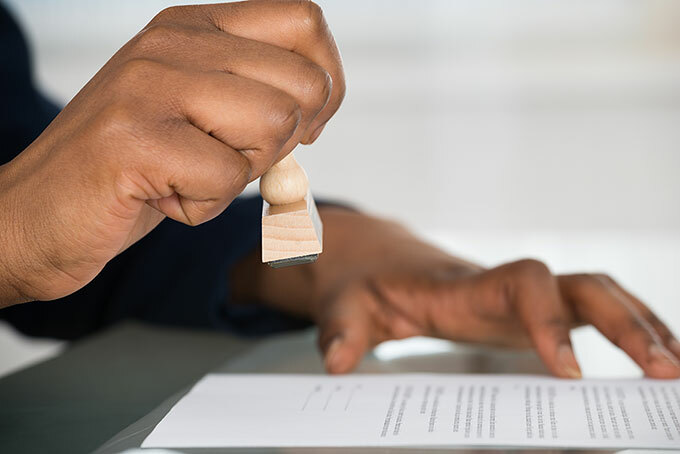 AMERICAN NOTARY USA connects you to trusted, professionally licensed and certified online notaries, 365 days a year, who will securely and legally notarize your documents online at your convenience. eNotarization is an online notary service that allows you to work with an electronic notary public to get your documents notarized. An electronic notary, also known as an eNotary, can utilize an electronic signature feature to sign the document and an electronic seal to certify it. Our secure website keeps the document confidential and tamper-resistant, so you don’t need to worry about your personal information getting hacked. Our database of notaries use different platforms such as DocuSign eNotary to manage your documents. DocuSign is a company that provides the latest technology in digital notary services and transaction management. A DocuSign electronic notary public can be available 24 hours a day, 7 days a week, so you can get your paperwork notarized whenever you want. Since notaries have their own notary businesses, AMERICAN NOTARY USA does not perform eNotarizations directly. However, if you're looking to have your documents eNotarized within your state through a commissioned notary, or to have your documents notarized remotely with a certified notary, we can help you locate an online notary public online. Use our notary locator tool to search for notaries near you. Getting started is easy – we’ve simplified the process to make it fast and convenient. Simply set up a profile and search our data base. If you have questions, we’ll be happy to answer them. Disclaimer: AMERICAN NOTARY USA is not a law firm or a substitute for an attorney or law firm. Our database of notaries are not licensed to provide and do not provide any legal advice, and we do not accept any legal fees. While we provide general information throughout the website, we cannot provide any kind of advice, opinion, or recommendation about your specific legal situation, including whether any particular document may be electronically signed or whether an electronically signed or notarized document will be valid for your intended use or accepted by your intended recipient. If you have any questions at all about validity or acceptance of your document by the intended recipient, please check with them first. We encourage all our users to seek legal advice for any questions about your documents or the transactions they relate to.